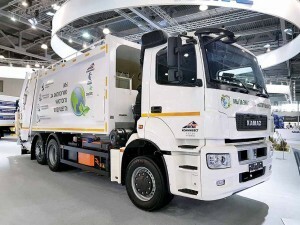 Kamaz is fast expanding its product range to enter new segments. At Naberezhnye Chelny, the Kamaz manufacturing complex gives the impression of being a city within a city. Large chimney’s loom into the distance as a network of wide roads criss-cross. 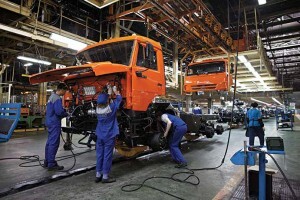 With a capacity to make 71,000 vehicles per year, Kamaz, commanding a 56 per cent market share in 2016, in the segments above 14-tonnes, is the number-one truck company in Russia. 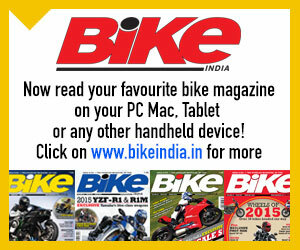 It has over 40 models and 1500 vehicle configurations. A Dakar rally winner for 14 times, Kamaz has a strong dealer network of 200 dealers. 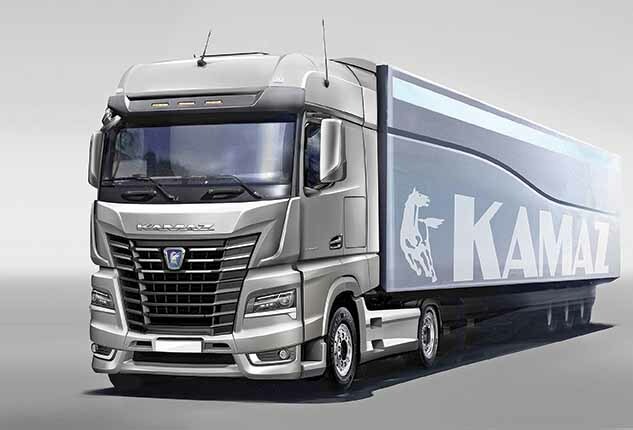 Placed 16th among the world’s heavy-duty truck producers in 2016, Kamaz is keen to enter the premier truck league. 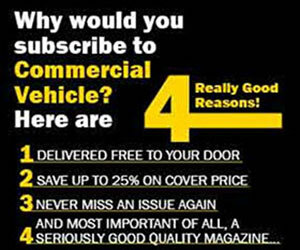 The company unveiled a new K5 truck cab (see box) recently. To be built in association with Daimler at a new cab plant at Naberezhnye Chelny from early 2019, the K5 truck cab hints at the company’s aspiration to enter the premium heavy truck segment in Russia, which is currently dominated by the Big-Seven European manufacturers like Volvo, Scania, Mercedes-Benz and others. 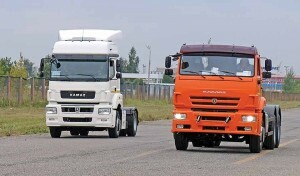 If the leading position in the Russian commercial vehicle market would provide Kamaz with a distinct advantage, the move to enter the premium segment will further augment the position of Kamaz in the home market. Acknowledged as the best Russian exporter for 14 times, Kamaz sold 28,000 vehicles in 2016 in the domestic market. It exported 6000 vehicles. 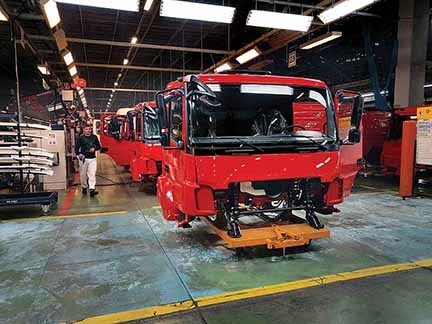 With a 77.8 per cent market share in flatbed trucks, 65.4 per cent market share in dump trucks, 34.9 per cent in semi-trailers, and 66.5 per cent in special purpose vehicles, the CV maker produces both, trucks and buses. 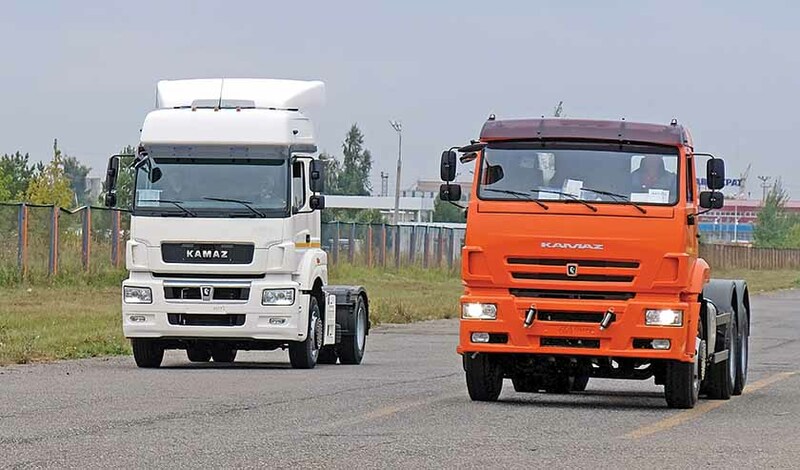 Seeking a presence in the premium truck market through a joint venture with Daimler in the medium truck market (through Fuso), and in the heavy truck market (through Mercedes-Benz), Kamaz has also inked a joint venture with Marcopolo for buses. 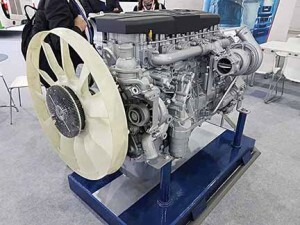 It also has collaboration with tier suppliers like ZF (ZF Kama) for gearboxes; with Cummins (Cummins Kama) for engines; with Knorr bremse (Knorr Bremse Kama) for braking systems, and with Federal Mogul (Federal Mogul Naberezhnye Chelny) for cylinders and pistons. 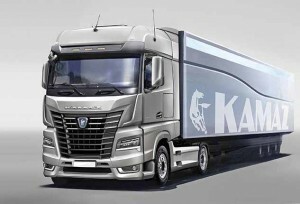 With the truck range roughly divided into the legacy (K2) cabin range and the (K4 & K5) Neo cabin range, Kamaz has a presence in the eight to over 41-tonne truck segments. It makes trucks that are powered in the range of 160 hp to 550 hp. 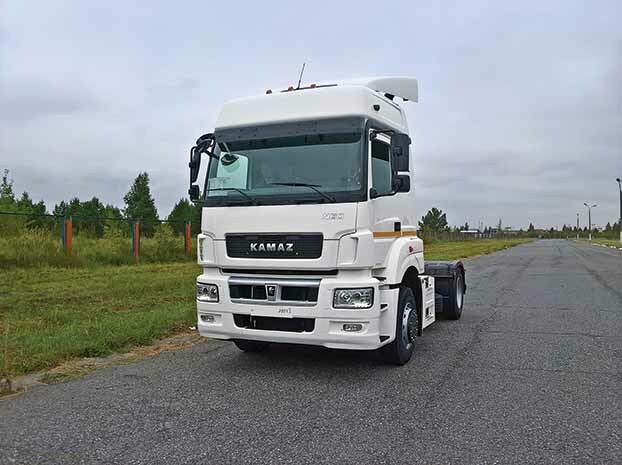 Significantly expanding its truck range with the launch of (5490) tractor in 2013, (65106) 6×4 tractor in 2014, (65207) 6×4 rigid in 2015, and five models each in 2016 and 2017, Kamaz makes special purpose rigid trucks and tractors (prime movers) for a variety of industries including oil and gas, public utilities, timber, road maintenance, towing, construction, retail and commercial transportation. Apart from the crew change buses, truck mounted cranes, fire tenders, mobile laboratories and mobile workshops, the company offers a wide range of trailers under the brand name of Kamatainer. 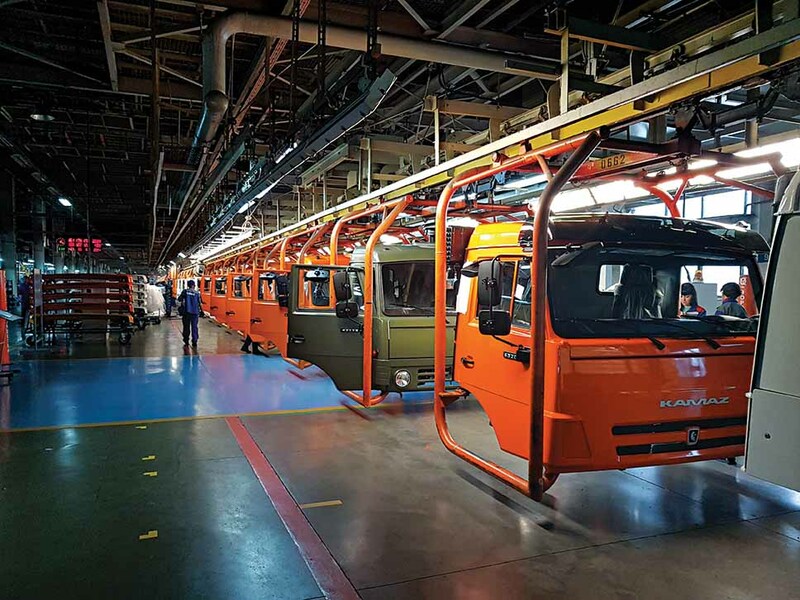 Supplying large-size and small-size buses, the company also offers electric and trolley buses. 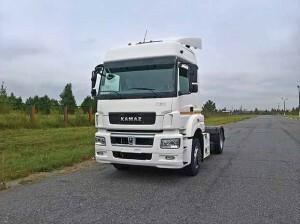 The K5 cabin equipped Kamaz-54901 4×2 haulage tractor is set to propel the Russian CV maker into a different league altogether. Expected to complement the legacy range, which is still the most selling, and the Neo range, the Kamaz 54901 tractor is strikingly modern. Its cabin is not only stylish, it employs modern materials with a high quality of manufacture and assembly. The floor to ceiling height is 1980 mm. The width is 2270 mm. 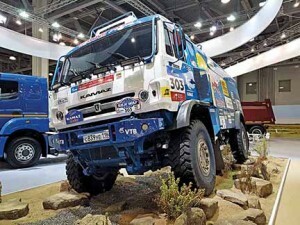 With fog lamps (and cornering lamps) of the Kamaz-54901 are built into the bumper. The cabin has large steps and handles to help clean the windscreen. Equipped with an automated ZF Traxon transmission, the 54901 would offer service intervals of up to 150,000 km. Structured on a robust frame made from high strength steel the 54901, apart from elevating the living space for a driver in a Kamaz truck from 7.5 cu. m. in 2012, to 9 cu. m. in 2019, will mark a step up in refinement and driver comfort. To employ a front axle of up to nine-tonne, and an economical and ‘quiet’ hypoid axle at the rear with a gear ratio of 2.5 to 3.07, the 54901 will feature an onboard information system. It is a proprietary system of satellite monitoring. 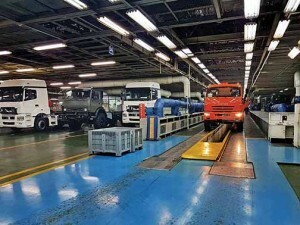 Sharing the line with the existing range of Kamaz trucks at Naberezhnye Chelny, the Kamaz-54901 is set to be a revolutionary truck indeed. The development of the K5 cabin project began at Torino Design in Italy in September 2014. The first style proposals were presented by Torino Design to Kamaz CEO Kogogin and to Kamaz board of management in the same month. Torino Design started the development of details, CAS 3D modeling, feasibility engineering and construction of style models that were frozen in 2015. Torino Design followed the engineering of complete product and the realisation of Class A maths. The project was completed in April 2016. The aim of the stylistic research was to create a full range of high-end industrial vehicles with a high level of synergy. They had to flaunt a modern European styling. They had to be capable of conveying an image of robustness and comfort. The cab was conceived to last for years. 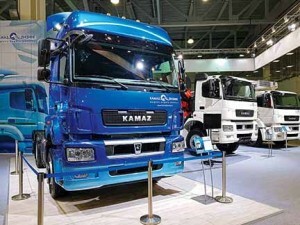 It has tense lines and taut surfaces that define the new Kamaz family look. The Neo 5490 4×2 tractor (prime mover) is one of the most modern trucks on offer from Kamaz. It is aimed at long-haul transportation and fitted with a high cab. Claimed to have been derived from the Mercedes-Benz Axor cabin, the first impression is that of a modern construction with good fit and finish standards. Giving the impression of being aerodynamically efficient, the cabin is four-point suspended. 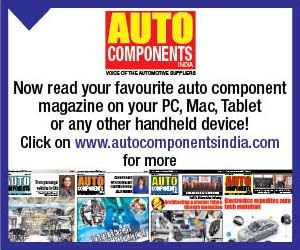 It has longitudinally ﬂexible rubber bearings at front and two suspension struts at the rear. The bumper with steps built into it on either side houses large clear lens project headlamp consoles. The brush aluminium embellishment with the Kamaz logo at the centre marks for an interesting touch. 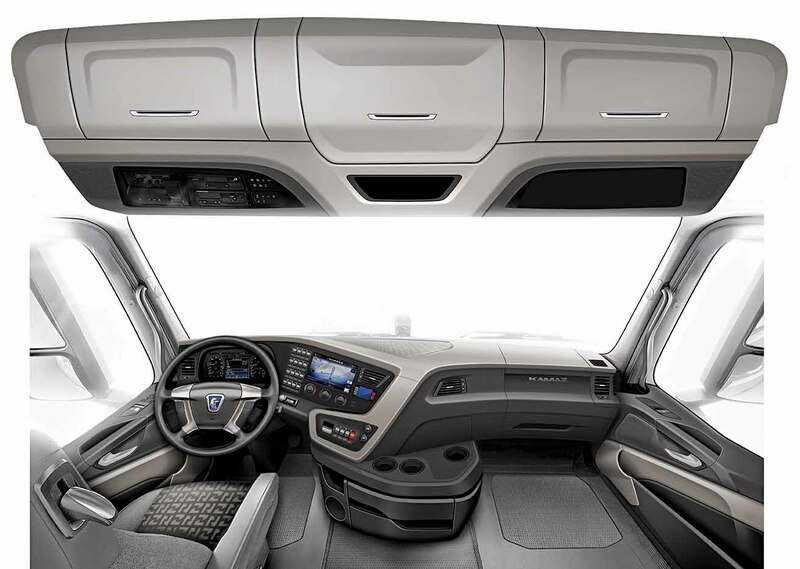 Climb inside, and the K4 cabin interior conveys a modern feel much like the exterior does. Almost two-meter high, the cabin looks spacious. The dashboard, the surrounding trim, the steering, and the suspended seat contribute towards a modern look and feel. Behind the driver and the co-driver’s seat is a sleeper berth. The driver and co-driver seats are supportive and comfortable. 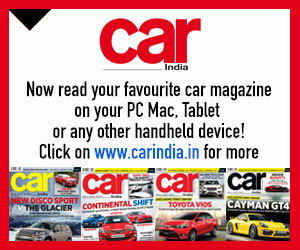 The steering is adjustable and adds to the superior ergonomics the cabin presents. If the layout of the cabin reflects upon a distinct generational gap between the K3 and K4 cabins, the Kamaz Neo 5490 with the K4 cabin is clearly superior in terms of comfort. It is a property that will be greatly appreciated by the long-haul operators. Turn the key, and the 400 hp Daimler OM457LA Euro5 12-litre six-cylinder engine comes to life. Not much sound filters into the cabin. No vibes enter the (heated and air-conditioned) cabin either. The 16-speed manual ‘splitter’ transmission with intarder is easy to use. A toggle switch on the shifter stem helps to move from one ‘splitter’ range to the other and vice versa. 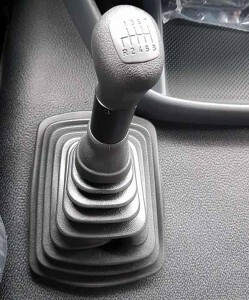 The gears fall into place without any hiccup, and the clutch action is progressive and light. Equipped with EBS, ESP and ASR, the truck, with a good view of the outside, thanks to the ample glass area and large mirrors, feels easy to drive. As mentioned earlier, good ergonomics means most controls are within easy reach. Through the gears, the truck accelerates smoothly. Even as the revs rise, it does not get annoying. The suspended seat makes for a comfortable drive, and on surfaces that are less than ideal. The disc brakes exert a good bite when it is time to shed speed. The pedal travel surprisingly felt a little longer than expected. The use of exhaust brake to shed speed in a hurry in association with the service brake before entering a tight corner brought the desired results. Equipped with creature comforts like power windows and more, the Kamaz Neo 5490 with the K4 cabin is a reflection of the abilities of its producer. It also reflects upon the abilities of the Russian auto industry; the OEMs and the components manufacturers on the whole. The highlight of the Kamaz production facility at Naberezhnye Chelny is the long final assembly line. 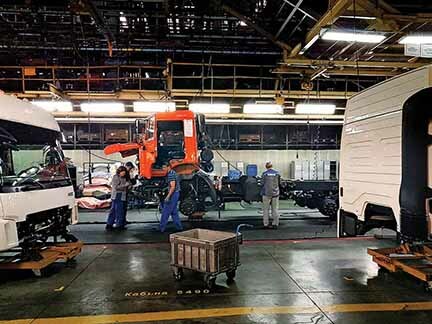 The total length of the building that it is in, is 1,180 m. Manufacturing trucks with serial (K3) cabins, which make up the legacy range of Kamaz trucks, and the (K4) Neo range of trucks, the production facility has a capacity to build 140,000 vehicles per year. 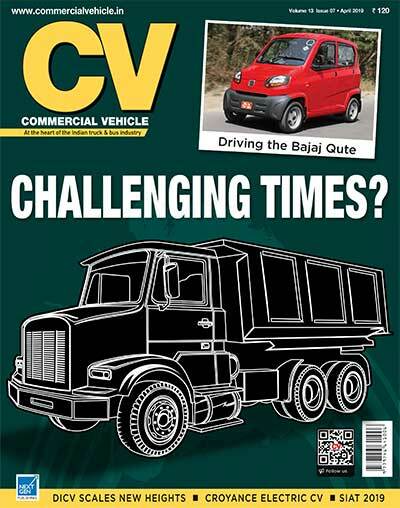 As of current, 40,000 trucks per year are built in accordance with the current market demand. The company currently operates a single shift. Employing 6500 people, Naberezhnye Chelny facility makes almost all the parts in-house. Situated in the manufacturing complex at Naberezhnye Chelny are joint venture companies like ZF Kama, Cummins Kama, Knorr Bremse Kama and Federal Mogul Naberezhnye Chelny. Various activities like forging are carried out in the plant. Components are also sourced from 10 plants across Russia. The engine plant within the production facility builds Euro3, Euro4 and Euro5 emissions compliant engines. Work on the Euro6 engine is progressing at good speed. 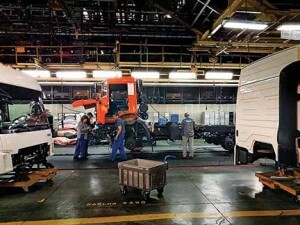 Building 50 truck models, the facility has two cabin lines – one for the serial cabin and the other for the new (Neo) cabin. The current average for the cabins per day is 63. The takt time for the cabin is four hours. 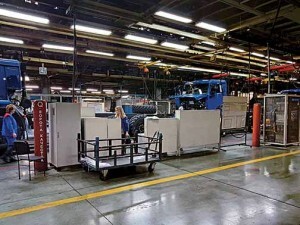 The sleeper and high roof cabins are made off the assembly line. Five-hundred new cabins are produced per month. The plan is to increase the production of new cabins to 3000 numbers. Sourcing some components from China, Serbia and Europe, the plant has two identical final assembly lines. 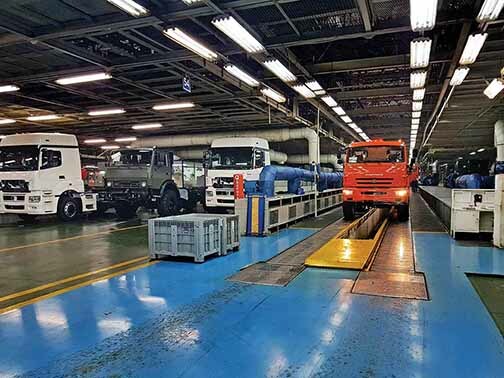 With an import content of 20 per cent, 180 trucks are built per day. 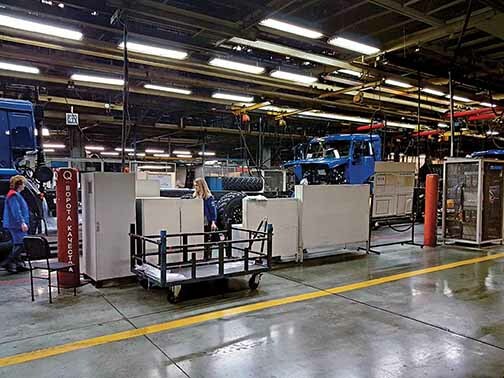 90 trucks roll out of each of the two final assembly lines per day. There are 54 feeding lines to the final assembly. There are four sides, each divided by a quality gate. The length of the final assembly line is 680 m.